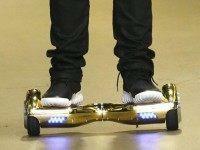 A blow has been dealt to the hoverboard industry after Segway successfully filed a patent which bans certain personal transporter devices being manufactured and imported into the US, the International Trade Commission has ruled. Police in Columbus are looking for two men who put a gun to the head of an eight-year-old in order to steal a hoverboard. A hoverboard that caught fire inside a Van Nuys home nearly burned the entire house to the ground, but quick-thinking firefighters were able to prevent catastrophe and successfully douse the flames. A man riding a hoverboard in the Koreatown neighborhood of Los Angeles got quite a shock Wednesday when the board he was riding suddenly “exploded” beneath his feet and burst into flames. 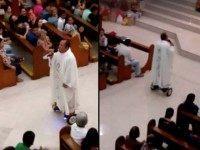 A priest in the Philippines who rode around his church on a hoverboard at the end of Christmas mass has been temporarily suspended by his diocese for a period to “reflect” on his actions. 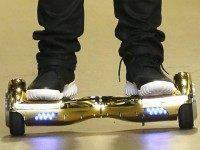 The nation’s three largest airlines have banned so-called “hoverboards” from both overhead bins and cargo holds as concerns mount over the safety of the popular toys. 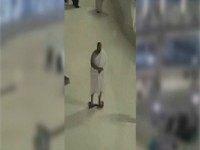 A video of a man performing part of his pilgrimage to Mecca while riding a hoverboard has prompted a debate among Muslims regarding whether the device is permitted. At least one scholar has approved, as long as a disability prevents the man from completing the voyage on foot.